Bravery is not just about the big heroic occasions that make the headlines. True bravery can be found in the day to day choices that are made by everyday people who find themselves faced with dark and dangerous situations. It is when they are faced with unexpected choices of either confronting the challenge head on or of running away to fight another day. It is these stories, that can be the most inspirational. 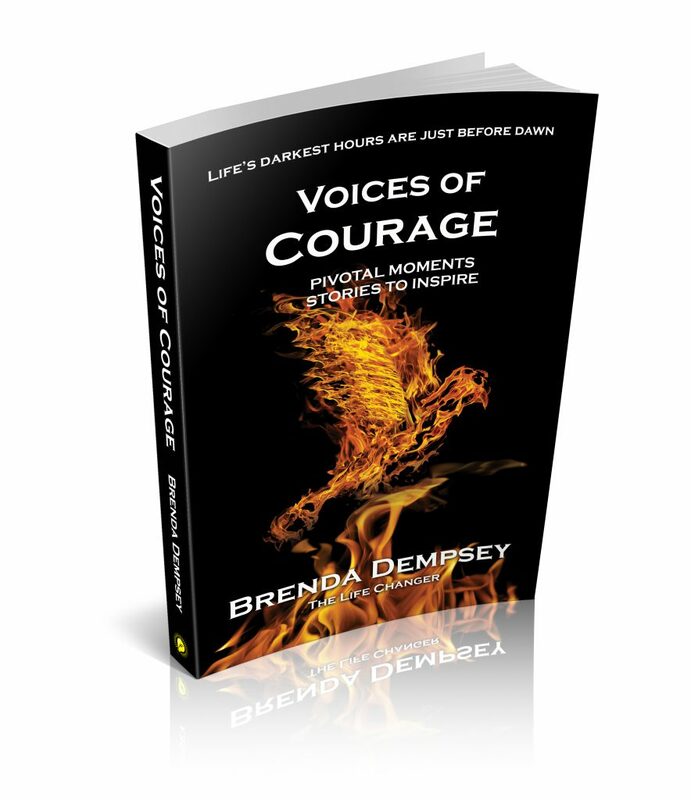 Brenda Dempsey, is author of the new book, Voices of Courage, and is herself a survivor of domestic abuse and homelessness. She is on a mission to help give voice to other courageous women who have either been victims or have demonstrated exceptional qualities by overcoming seemingly impossible challenges. Over the past year, Brenda Dempsey has been collecting the brave stories of ordinary women, from around the world, who have had to make extra-ordinary choices. By sharing their experiences, she wants to give others hope and the inspiration to get through the challenges that life can throw at us all. Published by filament Publishing Ltd, the new book will be launched in the Institute of Directors, in London’s Pall Mall on Tuesday 22nd January where Brenda will be joined by a number of her co-authors who will be telling their stories. Surrey Co-Author, Fiona Clark’s story is a familiar one for many women who find themselves as a single mum after a marriage breaks down. Fiona’s story begins in the Philippines and results in her finding her one thing that inspires her to help other women connect within and find their true harmony. Read about the courageous story of Amira Ben Mor from Israel who risked her life to seek safety by fleeing Teheran, crossing dangerous territory and finding freedom in Israel where she now lives. Be inspired by the transformational story of Barbara Byrne from Ireland, who shed her weight and emotions to reveal an incredible woman who helps others to do the same. One way she continues to encourage others to step outside of their comfort zone, is walking the world-famous Camino Way. Find out the sacrifices and why mum of two, Erron Noel from America, found the courage to be true to herself. Brenda Dempsey is a master NLP coach, teacher, mentor, speaker and #1 International Best Selling author. She is already published in the ‘Anthology Book of Inspiration for Women by Women’. Through her creation of Voices of Courage, she is realising her dream to bring together women from around the globe, impact change in their lives and create a ripple effect that touches thousands more. For more information about her work and charities please visit brendademspey.co.uk.